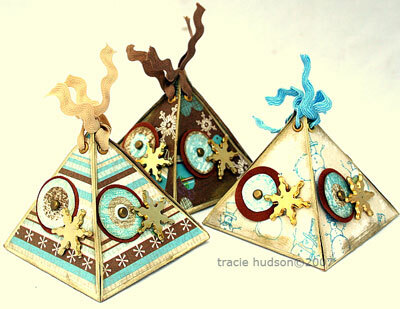 These triangular favour boxes are ideal to store small gifts or could be filled with chocolate and hung from your Christmas tree. As a family we like to give a small gift to one another whilst sitting at our Christmas table – not only will these boxes add to our table decoration but they will hold a secret surprise! Making cards is a great way to use up off cuts of patterned papers. This card is “laced” together by a thin leather lace which has been threaded through eyelets. The trees and hearts were cut from patterned papers and buttons and ribbons used to embellish. Making gift bags is a great way to use up that pile of offcuts of your patterned papers! 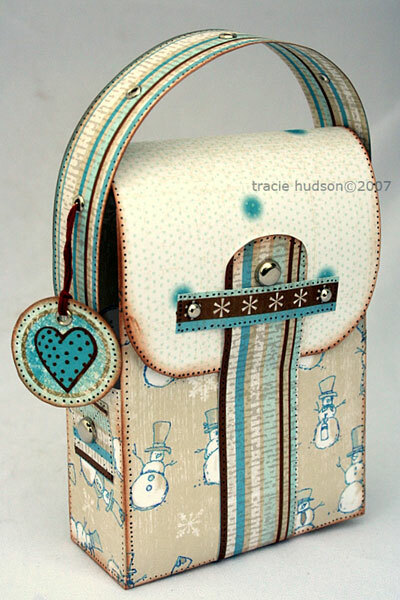 I experimented and made my gift bag look like a little handbag complete with a fastener and tag. Eyelets were added to the handle to add interesting detail. 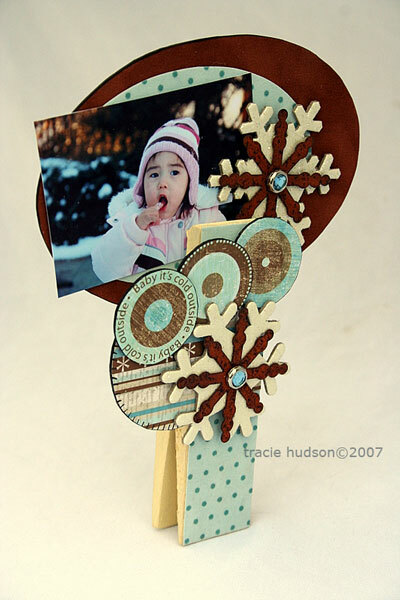 These oversized pegs make a fantastic photograph holder when combined with a mix of patterned papers and embellishments available from Bubbly Funk. The velvet effect paper certainly added a luxurious texture to this project.